The dreaded sales pitch – like a job interview, only more terrifying. Whether you are just starting up, and your first time is on the horizon, or you’ve done a few already, there is certainly an art to nailing it. Naturally, your first attempt is never going to be perfect and getting it right takes some grafting. The hardest thing to accept when you think you have not done your best is the fact that you learn from your mistakes, but with these tips on how to improve your pitching, you will be able to build the confidence to acquire the sale. We will be applying these tips to the great example of Levi Roots, a London Reggae musician who appeared on the UK version of Dragon’s Den with his Reggae Reggae sauce sales pitch. Research is absolutely key to putting together a successful presentation. Remember that it is not all about you, or your business – it’s about the client. It’s about what they want and how you can bring it to them. Always practice a few times beforehand to iron out the creases and after each run through, take note of what went well and what could be improved upon so that you can learn from the experience. Before the big day, be sure to get plenty of rest and relax! Even if you are prepared in what you are going to say, if you appear tired or flustered this will be a bad reflection of your abilities. 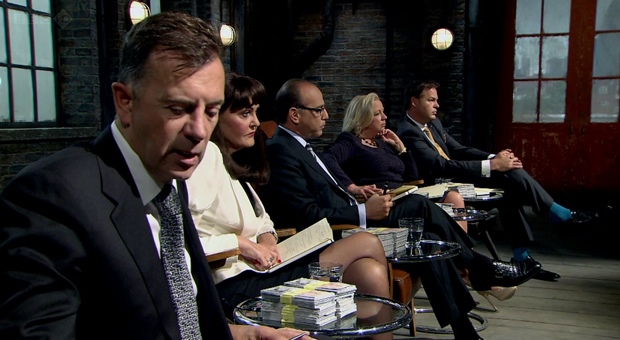 As always on Dragons Den, the Dragons are tough to please and preparation is what carries Levi through. We’ll keep this section short too – you need to avoid the waffle. Open with who you are, what you do, why you’re the best at it and how they can find out more about your business. Let them see a portfolio or demo, and direct them to your website. This may be on your business card, but if you bring attention to it, they’re more likely to take a look. The Reggae Reggae pitch, despite its musical opening is still kept quite short – Levi explains that he is a musician and he has been producing the sauce for 15 years, selling it at a hugely successful carnival. He explains what makes the sauce different and what he needs from them. Listen to the answers and see if they align with your expectations – although they may not be directly involved in making them think or talk about your product, the insights you will gain can help you shape your answers when it’s their turn to ask the questions. Levi doesn’t really take advantage of asking questions – he knows enough about the investors, but he could have chosen to find out more about the two investors before agreeing to the offer. Many people dread the ‘question section’ – you’ve said your part, and you’ve hopefully opened the opportunity for a back and forth dialogue. It is easy however to fall at this hurdle. As with a job interview, the reason people fail this part is that you are entering the unknown. It is unlikely that a client will ask ‘generic’ questions that you will find online. They will deliberately avoid these questions to keep you on your toes. There’s no need to worry though, just take your time to answer the questions concisely. If you skirt around the answer and waffle on, it indicates that you are unsure of what you are talking about. When Duncan Bannatyne asks the direct question of how many bottles of sauce Levi had sold in the previous year, he was able to answer straight away. Always make sure you know the key figures inside out. The questions don’t end there though, but Levi answers each one with confidence. Getting across that you really care about your business should be easy. The level of passion that you put forward needs to have a good balance though – this video of Georgia Tech student Nicholas Selby giving his graduation speech is pushing it a little too far. Whilst there is no denying how much Nicholas loves his University, his pitch to fellow students crosses the line into intense territory. Show your passion with less aggression, but be aware of the times when the buyer should be speaking and never cut across them. Applying this to Levi’s pitch, the brand he has created for Reggae Reggae sauce is tied very much into his passion for music and that passion comes across throughout. Even the slogan ‘Put some music into your food’ is a continuation of his belief in the brand. When buying, the main thing that the customer wants to know is why they need your product above any other similar one. You can go on about how great it is, but if you do not align the abilities of it with their needs, they are not going to want to choose you. Levi Roots does this by comparing his product to ordinary products that do not serve a purpose that he feels his Reggae Reggae sauce can. No matter who you are presenting to, chances are that they have seen many other demonstrations before you – some of which may even be on the same day. Trade in the Powerpoint presentation for something more hands on. Is there a creative way you can showcase your product or service which they will not have seen before? Levi Roots opts to open his pitch with a song – even the presenter lets us know that the Dragon’s don’t often get serenaded! Even before making the meeting, you can grab their attention – there are countless stories of companies sending their product to a prospective buyer and personalising it to make the client feel appreciated. Let’s face it – you’re taking time out of someone’s working day. It’s the cold hard truth, but it will help you appreciate the importance of presenting them with something different. Whether your product or service can save time, money or resources, they need to know this is a priority so they feel that their time is not being wasted. Know your competitors so that you know what divides you from them. As you can see in the video, Levi clearly points out the competing condiments, and why Reggae Reggae sauce is better and where it fits in that market. Beyond creativity and a unique offering, you can always shake up the traditional manner of pitching. With the rise of crowd-funding sites like Kickstarter, videos are becoming a popular way to get backing from influential people. Could you create a video and use it as material? By presenting the support you have got from funders, it shows that people have faith in your business. In addition to the unique opening of his pitch, Levi could have presented the Dragon’s with reactions from carnival goers that has tried his product. The emotions you feel afterwards are often at each opposite end of the scale – a great one usually means elation, whilst one that hasn’t quite gone to plan will bring on feelings of regret. Regardless of how it went, let the business know you are thankful for the opportunity, and provide them with all the information they need to make an informed decision. Levi had the luxury of finding out there and then that he was successful in his pitch, but he was also deliberately memorable – it’s not likely the Dragon’s would have forgotten about his pitch after seeing many others. If your pitch can tick these boxes, then you stand a good chance of making the sale. Nothing is ever guaranteed though, and expanding your business will take time. This post was written on behalf of Visual Synergy, who offer bespoke, professional Audio Visual installations for boardrooms and offices.